There is no shortage of drum machine software available for download to your Windows or Mac machine, but what if I told you there was a new tool right on the web that utilizes machine learning and AI to help you discover beats you may have never thought of? 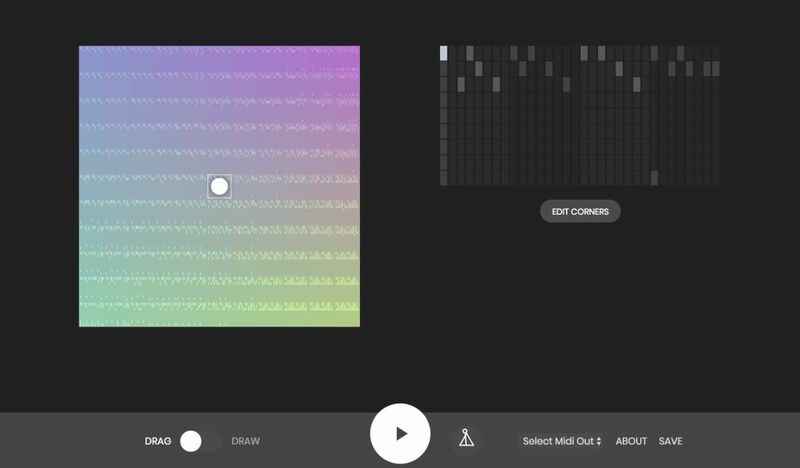 Called Beat Blender, a project for Experiments from Google, users are opened to a whole world of new beats. Thanks to the ability to set not just the tempo, but actual style-specific accents, you can come across some pretty sweet loops with a bit of experimentation. The whole UI is pretty easy to master. Each of the four corners represents a single and unique drum beat. Using machine learning, each square within the larger square is a mixture of the four corners. Now, each corner can be customized to different presets such as Rock, Break, Half Beat, Bossa, and Samba. When you customize each of the four corners, then let the machine learning fill in the blanks within the larger square, you’re met with whole mess of interesting sounds. You can hear all of the different beats by either clicking on single boxes or drawing across the square. If you’re digging a few of the beats you come across, you can export the beat via midi out to any music-making software you have on your computer.